25 Then Arioch quickly brought Daniel before the king and said to him: “I have found among the exiles from Judah a man who can tell the king the interpretation.” 26 The king said to Daniel, whose name was Belteshazzar, “Are you able to tell me the dream that I have seen and its interpretation?” 27 Daniel answered the king, “No wise men, enchanters, magicians, or diviners can show to the king the mystery that the king is asking, 28 but there is a God in heaven who reveals mysteries, and he has disclosed to King Nebuchadnezzar what will happen at the end of days. Your dream and the visions of your head as you lay in bed were these: 29 To you, O king, as you lay in bed, came thoughts of what would be hereafter, and the revealer of mysteries disclosed to you what is to be. 30 But as for me, this mystery has not been revealed to me because of any wisdom that I have more than any other living being, but in order that the interpretation may be known to the king and that you may understand the thoughts of your mind. 31 “You were looking, O king, and lo! there was a great statue. This statue was huge, its brilliance extraordinary; it was standing before you, and its appearance was frightening. 32 The head of that statue was of fine gold, its chest and arms of silver, its middle and thighs of bronze, 33 its legs of iron, its feet partly of iron and partly of clay. 34 As you looked on, a stone was cut out, not by human hands, and it struck the statue on its feet of iron and clay and broke them in pieces. 35 Then the iron, the clay, the bronze, the silver, and the gold, were all broken in pieces and became like the chaff of the summer threshing floors; and the wind carried them away, so that not a trace of them could be found. But the stone that struck the statue became a great mountain and filled the whole earth. 46 Then King Nebuchadnezzar fell on his face, worshiped Daniel, and commanded that a grain offering and incense be offered to him. 47 The king said to Daniel, “Truly, your God is God of gods and Lord of kings and a revealer of mysteries, for you have been able to reveal this mystery!” 48 Then the king promoted Daniel, gave him many great gifts, and made him ruler over the whole province of Babylon and chief prefect over all the wise men of Babylon. 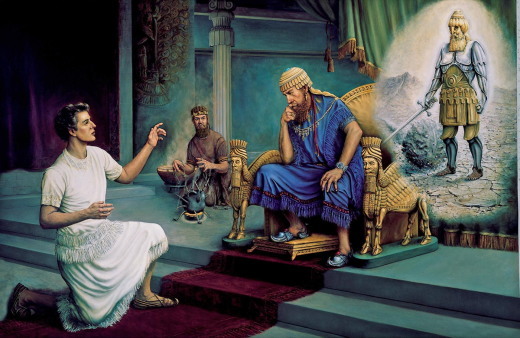 49 Daniel made a request of the king, and he appointed Shadrach, Meshach, and Abednego over the affairs of the province of Babylon. But Daniel remained at the king’s court. Lord, we pray not to get lost in the reality of our own depravity, but rather to find ourselves morning by morning in the light of your mercy and redemption. Help us answer your call as readily as our father Abram, that we might extend your blessing throughout our community. Remind us that the places where we find you become altars in our world. Lord, on this day I chose to put You first. Thank You that when You are at the center of our family, our lives are rich with love and goodness. Lord, be the running stream, springing up at the very heart of our household. Might we drink daily from the water of life, that our days would be filled with kindness, forgiveness, trust and love. Let Tuesday always prompt my heart to place my life in You. To see Your holy will be done I give my life anew. According to the American Institute of Stress, more than 110 million Americans take medication for stress-related causes each week. During the holiday season, another one million people battle what experts refer to as the "holiday blues.” I am very familiar with depression and the pain it holds and must constantly battle to stay out of that pit. Depression is an emotional, mental, physical and spiritual disorder. Something is out of balance. We have buried some pain instead of confronting it or we have misplaced our trust and sought help from impotent sources. In order to deal with depression, we must first come to a place of total and complete surrender to God and His plan of healing, even if we cannot see or do not understand that plan. The bottom line of God’s heart toward His children is always restoration and healing. While I am not a big fan of television, I do enjoy watching a few select home improvement shows. On a recent program, an interior decorator and homeowner were discussing a list of changes that needed to be made in order to update the home. “First, we have to do something about those windows,” the decorator announced. I was surprised that she had listed this task first – until I saw the house. The existing glass was not only an ugly shade of gold, but it was thick and chunky as well. The windows let in no light and made it virtually impossible to see in or out. The result was a dark, isolated home. The distressed homeowner protested, “But I like my privacy. And if I thought anyone could see in, I would feel totally exposed.” When it comes to dealing with depression, many people feel the same way. We construct walls over which no one can climb because the cost of friendship is too high. We fill the windows of our soul with emotional excuses in order to avoid dealing with pain. The result is darkness, loneliness, and missed opportunities for restoration. We don’t want to understand depression or find the treasures of that darkness; we simply want to be rid of it. Many people try to understand and deal with depression on a surface level – refusing to face painful experiences, difficult relationships and the broken places where darkness lives. We look for the nearest exit, hoping to bypass transparency because the price is just too much to pay. Emotional integrity is an essential step to recognizing, understanding, and dealing with depression. We must be real before we can be right. Until we are willing to risk being transparent, we can neither understand nor effectively deal with depression during the holidays or any other time of the year. The holidays seem to tug at the masks we carefully hold in place or push the emotional buttons we desperately try to hide. The arrival of certain family members can resurrect painful issues that have never really been resolved. Financial pressure opens up like a sinkhole, waiting to steal our joy and destroy our peace. Schedules demand every ounce of energy, and false expectations leave us empty and hollow. The dark, slimy pit waits for us to fall in. It is not supposed to be that way! Here’s a great resolution for the New Year. Make this year a time of praise. Choose to focus on the victories and joys you experience during the year, and then find ways to share that victory and joy with others. We need to focus on a tiny baby born in a manger, come to save us and give us true life. The darkness can be destroyed if we choose to face and deal with whatever it holds. Right now, choose an attitude of joy by focusing your mind on the things of heaven – not earth, and by fixing your heart on Jesus Christ. Father, I want a life filled with light instead of darkness. Please help me discard my emotional masks and be real before You as well as my family and friends. Give me the courage to be obedient to You. Give me eyes to see those You bring into my life that need my encouragement because they are on the same journey. Write a letter of commitment to Jesus, asking Him to empower the choices you have made. Make a plan or a list of “dos” and “don’ts” that will help you experience the life God created you to live. Include your family in making this plan and make the commitment to hold each other accountable. Do you need help studying the Bible? It can sometimes be overwhelming to know where to start. 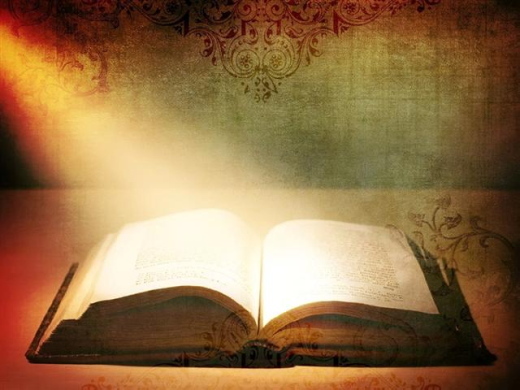 Check out my new Bible Study, How to Study the Bible. Perfect for new believers as well as grounded Christians. According to the American Institute of Stress, more than 110 million Americans take medication for stress-related causes each week. 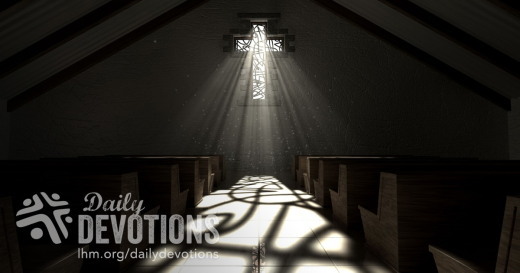 LHM Daily Devotions - Saved How? "Fear not, for I have redeemed you; I have called you by name, you are Mine. 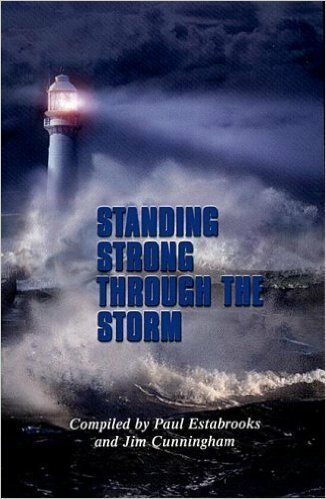 When you pass through the waters, I will be with you; and through the rivers, they shall not overwhelm you; when you walk through fire you shall not be burned, and the flame shall not consume you. For I am the LORD your God, the Holy One of Israel, your Savior." One of the hardest things to explain to a non-Christian, at least for me, is what we mean when we say that God saves us. I don't mean the whole business about Jesus dying for us so we can be forgiven and don't need to worry about going to hell. I mean the day-by-day, hour-by-hour experience of having Jesus as our Savior-of experiencing His help-of knowing Him as our Redeemer. To non-Christians, this looks really weird. Here we are, asking for God's help, and yet as far as they can see, we all have the same terrible experiences they do. We lose people we love to death. We get heart disease or cancer. We lose jobs, have car accidents, suffer from mental illness. If God is our Savior, then what exactly is He saving us from? What kind of saving is He doing? We can hardly blame them for asking. The prophet Isaiah gives words to what we know as Christians, even if we can't express it. 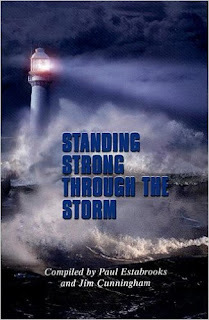 God says through Isaiah, "When you pass through the waters, I will be with you; and through the rivers, they shall not overwhelm you; when you walk through fire you shall not be burned, and the flame shall not consume you." Notice what God doesn't say. 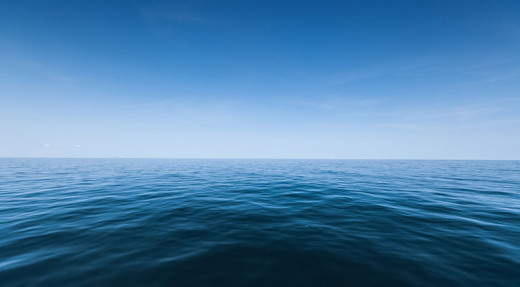 He doesn't say, "When you pass through the waters, I will roll them back on either side so that when you can go through them you won't even get wet." God did this for the people of Israel when they were escaping the Egyptians, but He never promised to do it for us. Again, notice how He says, "When you walk through the fire you shall not be burned." He never says, "I will cause the fire to go out-pffft!-before you ever set foot in it." No, God never promises to prevent us from having terrible experiences. He does promise to save us through them-to prevent them from destroying us. And He promises that we will not be alone. He will be with us, right through the whole thing. That may not sound like much to a non-Christian. But to a believer, it means everything. We are not alone; God has not abandoned us. We don't have to do it on our own. Even when we must face death, we do it with God at our side, with Jesus leading the way. After all, He is the One who went through suffering and death ahead of us-and came out the other side. He knows the way, and when we are with Him, we do not need to be afraid. What better hands could we be in? 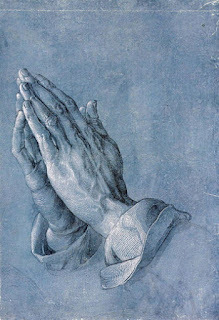 THE PRAYER: Dear Lord, when I must suffer, help me to trust that You are with me and that You will keep me. Amen. One of the hardest things to explain to a non-Christian is what we mean when we say that God saves us. Devocional del CPTLN de 08 de Enero de 2019 - ¿Salvados cómo? No temas, Jacob, porque yo te redimí; yo te di tu nombre, Israel, y tú me perteneces. Cuando pases por las aguas, yo estaré contigo; cuando cruces los ríos, no te anegarán. Cuando pases por el fuego, no te quemarás, ni las llamas arderán en ti. Yo soy el Señor, tu Dios. Yo soy tu salvador, el Santo de Israel. Una de las cosas más difíciles de explicar a quien no es cristiano, al menos para mí, es lo que queremos decir cuando comentamos que Dios nos salva. No me refiero a todo el tema de que Jesús murió por nosotros para que podamos ser perdonados y no tengamos que preocuparnos de ir al infierno. Me refiero a la experiencia día a día, hora a hora, de tener a Jesús como nuestro Salvador, de experimentar su ayuda, de conocerlo como nuestro Redentor. Para quienes no son cristianos eso es algo raro, pues ven que le pedimos ayuda a Dios y le damos gracias pero, sin embargo, por lo que ellos pueden ver, pasamos por las mismas dificultades que ellos: nuestros seres queridos mueren, nos enfermamos del corazón o contraemos cáncer, perdemos el empleo, sufrimos accidentes automovilísticos, padecemos enfermedades mentales. Si Dios es nuestro Salvador, ¿de qué exactamente nos está salvando? ¿Qué clase de salvación está haciendo? Difícilmente podemos culparlos por preguntar. El profeta Isaías nos provee las palabras para lo que como cristianos ya conocemos, pero no podemos expresar. Dios dice a través de Isaías: "Cuando pases por las aguas, yo estaré contigo; cuando cruces los ríos, no te anegarán. Cuando pases por el fuego, no te quemarás, ni las llamas arderán en ti". Fíjate en lo que Dios no dice. Él no dice: "Cuando pases por las aguas las separaré para que puedas atravesar sin mojarte." Dios hizo eso por el pueblo de Israel cuando estaban huyendo de los egipcios, pero nunca prometió hacerlo por nosotros. Nuevamente, observa que dice: "Cuando pases por el fuego, no te quemarás." Él nunca dice: "Haré que el fuego se apague, ¡pafffff! antes de que pongas tus pies en él." No, Dios nunca promete que evitará que tengamos experiencias terribles. Él promete salvarnos a través de ellas para evitar que nos destruyan. Y nos promete que no estaremos solos: él estará con nosotros cada día hasta el fin de nuestras vidas. Puede que esto no le diga mucho a quien no es cristiano. Pero para un creyente esto significa todo. No estamos solos; Dios no nos ha abandonado. No tenemos que lograr nada por nuestra propia cuenta. Incluso cuando enfrentemos la muerte, lo haremos con Dios a nuestro lado, con Jesús a la cabeza. Después de todo, él es el quien experimentó el sufrimiento y la muerte, y salió victorioso. Él conoce el camino, por lo que, cuando estamos con él, no debemos tener miedo. ¿Podríamos estar en mejores manos? ORACIÓN: Querido Señor, cuando deba sufrir, ayúdame a confiar en que tú estás conmigo y me cuidarás. Amén. Una de las cosas más difíciles de explicar a quien no es cristiano es lo que queremos decir cuando comentamos que Dios nos salva. ¿Y quién de ustedes, por mucho que lo intente, puede añadir medio metro a su estatura? (v. 27 RVC). Jesús preguntó algo interesante sobre la preocupación: «¿Y quién de ustedes, por mucho que lo intente, puede añadir medio metro a su estatura?» (Mateo 6:27 RVC). Quizá esto pueda ayudarnos a modificar nuestra tendencia a preocuparnos. Cuando avizoramos problemas, tal vez podamos intentar estos dos pasos: hacer algo y confiar en Dios. Si podemos hacer algo para evitarlos, con la guía de Dios, tomemos esa ruta. Pero si no podemos hacer nada, confiemos en que Él siempre puede actuar a nuestro favor, y dejemos la situación en sus manos. Cuando nos parece que es momento de preocuparnos, recordemos las palabras inspiradas del rey David, quien enfrentó grandes dificultades y preocupaciones, pero llegó a esta conclusión: «Echa sobre el Señor tu carga, y él te sustentará» (Salmo 55:22). ¡Qué alternativa maravillosa en lugar de preocuparnos! Señor, te entrego hoy mis preocupaciones. Ayúdame a descansar en ti. 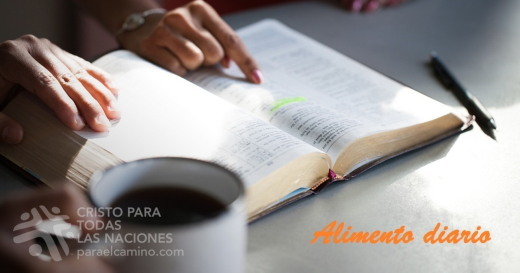 ¿Qué preocupaciones tienes que poner en manos de Dios hoy?